July 25, 2017 — Arizona former US Rep. Ann Kirkpatrick (D-Flagstaff) has completed her political transition to Tucson. 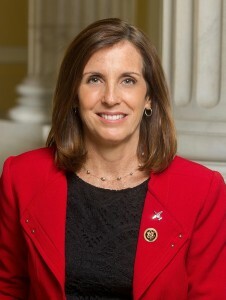 Over the weekend, the former congresswoman and US Senate candidate announced that she will enter the very crowded Democratic primary in the AZ-2 Congressional District. The move had been anticipated since Kirkpatrick had re-located from her home in Flagstaff to Arizona’s second largest population center and never ruled out entering the 2nd District race when questioned about doing so. Yet, even her path to the Democratic nomination is a difficult one, not to mention facing GOP Rep. Martha McSally (R-Tucson). Rep. McSally scored an impressive 57-43 percent re-election victory last November even though Hillary Clinton carried the district, 50-45 percent. Already in the 2018 Democratic field are former state Rep. Matt Heinz, who lost to McSally as last year’s party nominee, ex-state Rep. Bruce Wheeler, former Assistant US Army Secretary Mary Matiella, businessmen Billy Kovacs, Charlie Verdin and Jeff Latas, and retired Air Force colonel, Lou Jordan.